There is an interesting exhibition at the Uffizi in Florence from September 9th to November 6th 2011 by the Italian born New York based artist Francesco Clemente. Born out of an interest in the tarot started only 3 years ago we are confronted here by a modern artist and his view upon the 78 images we all know. All the figures in the Major Arcana and quite a few of the minors feature the artists New York friends (who are well known artists) as well as his 4 children and his wife who appears as The Star. The artist himself appears twice in the deck once as the fool and as the Ace of Swords. some of the cards do not feature any personality, like for example the Ten of Swords. Here below you can see Francesco Clemente as The Fool, Diane von Furstenberg as The Force, Salman Rushdie as King of Swords and the Ace of Cups. There is an article by Calvin Tompkins in The New Yorker. 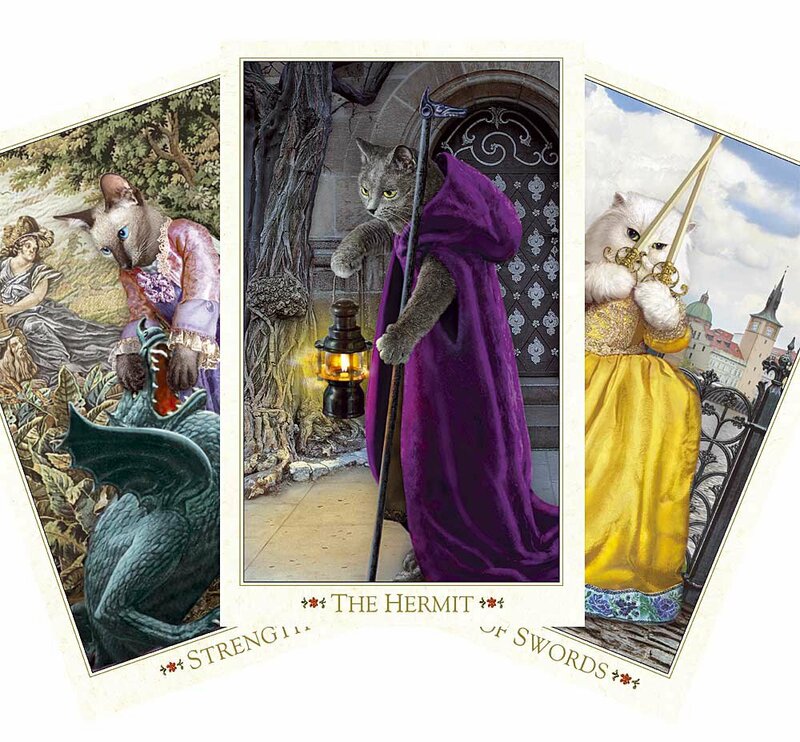 Good news for all lovers of the Bohemian Cats Tarot after being OOP for some time Alex Ukolov and Karen Mahony of Baba-store are about to release a third edition of it! Off course they did some adjustments to the cards, to make them look even better than the first editions. Pre-orders will open at the end of August/beginning of September. Details will be published on the Bohemian Cats Facebook page, the Baba Studio Facebook page, and also sent out on their newsletter. 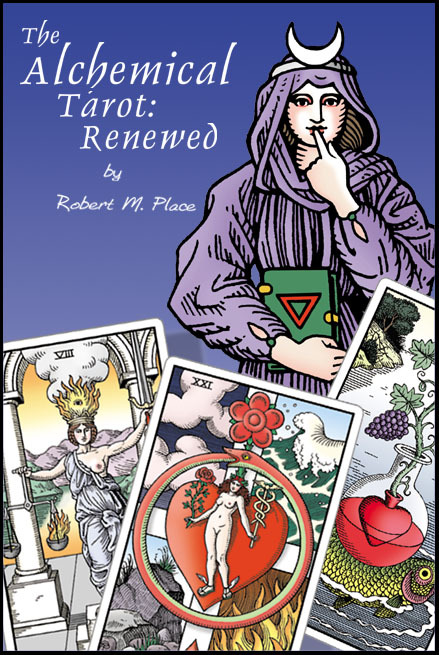 Some wonderful tarot creations get little or no attention by many tarotlovers because they are not printed in card format but inside a book, this is one of these treasures that merits to be noticed. The book is perhaps a bit difficult to find/obtain but is sure worthy of making an effort! This work, published in 2001 by Sellerio is an overview of the work of Nicolo d'Alessandro, not only his tarot, all his prints are black and white very detailed images that kind of draw you inside their specific slightly bizarre universe. Yesterday I told you about the fund raising for the Alchemical Tarot on the IndieGoGo site, well i did some searching on that site and I found an other deck that attracted my attention and I hope will find the needed budget to be able to get printed. The artist Holly DeFount has set as goal to her self to create a piece of art every day of 2011 - and among the art created is this deck. The incidental does not refers to the art or symbolism, cause it is good, well executed original and not always following the classical imagery or symbols, yet it stays a true tarot. The first 2 editions of this great deck went sadly out-of-print, but luckily we won't have to fear prices exploding like they did when the first edition went OOP. Robert Place is planning to launch a third &; improved edition. In conjunction with the new printing, Robert is finishing an updated version of the companion book and working with software engineer, Tony Newell, to create an app. version of The Alchemical Tarot. How would a Marseille deck look like if the TdM was invented in Japan? Well this deck published in 2010 comes pretty close to answering that, and the resulting majors only receives my 2 thumbs up appreciation. The artist behind this deck Akiko Miyazaki connected the 22 cards of the tarot to the Kojiki ( "Record of Ancient Matters") an ancient Japanese mythological book from the early 8th century, and is a collection of myths concerning the origin of the four home islands of Japan, and the stories of the Kami* that shaped it, and is one of the sources of the Shinto religion.The result is a coherent deck, a child that has a Japanese father and a mother straight from Marseilles (or vice-versa). * Kami are in Shinto (the Japanese religion) the spirits, natural forces, or essences the world is also sometimes translated as "god" or "deity," a translation that is contested under Shinto schollars. 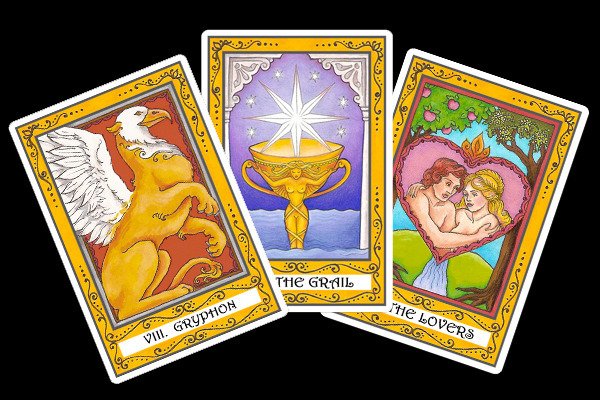 One such deck is the tarot created by William R. Stolpin and that i found some time ago on eBay, i looked at it and immediately bought it. The cards are slightly bigger (more or less 1/3) than most commercially published decks and a bit more square, but with nice round corners. The art itself has a feel of medieval- and renaissancefairs, a feeling of things more pure and innocent than the one that surround us.